If you want to enhance a plain grey concrete garage floor, epoxy floor coatings can be the right solution for you. They are one of the most cost effective and aesthetically pleasing ways not only for improving the look of your floors, but also hiding imperfections such as tire marks and other stains. Moreover, they can improve wear resistance, and, therefore, enhance durability of your garage floorings. Watson Painting has years of experience in applying epoxy floor systems for garages in Canberra. Whether you choose to go for a water-based, solvent-based or 100% epoxy garage coating, our team of experts has the knowledge and experience to help you get the best garage flooring possible at the most competitive prices in the city. And, if you are not sure which option to choose, our specialists will be more than happy to help you select the best choice which suits your needs and budget. Let Watson Painting help you transform your garage into a space you will be proud of. 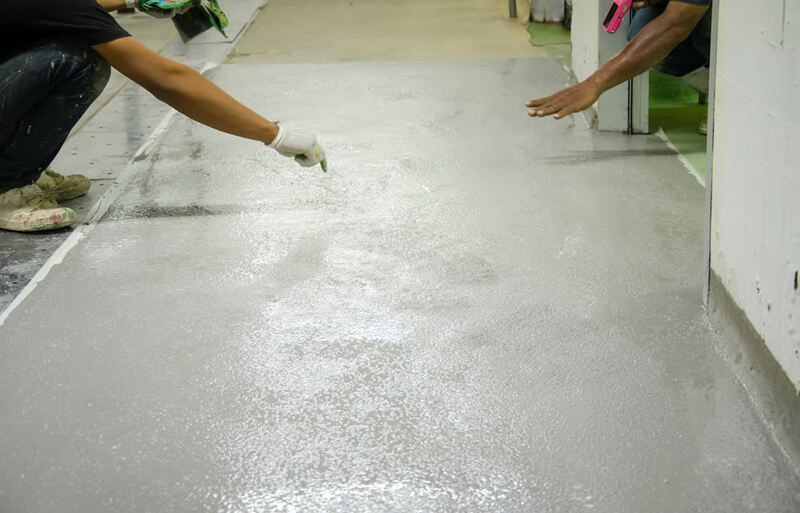 Our fully trained technicians will handle every step of the process, from preparing the substrate to applying a wide range of epoxy, with the same attention to detail and absolute precision, ensuring your peace of mind. So, when you choose us, rest assure knowing that the installation of epoxy floor systems for your garages in Canberra will be completed in the most professional, timely and friendly manner. We are looking forward to hearing from you!